The WASP WWS800 Freedom Wireless Barcode Scanner gives you the freedom to roam and allows you to move your scanner to your inventory instead of moving your inventory to your scanner. The WWS800 utilises BluetoothTM technology, and allows you to scan barcodes and then transmit the data up to 160' (line-of-site) from the base. The WWS800 also features a batch Memory Mode which allows you to work outside the 160' range. 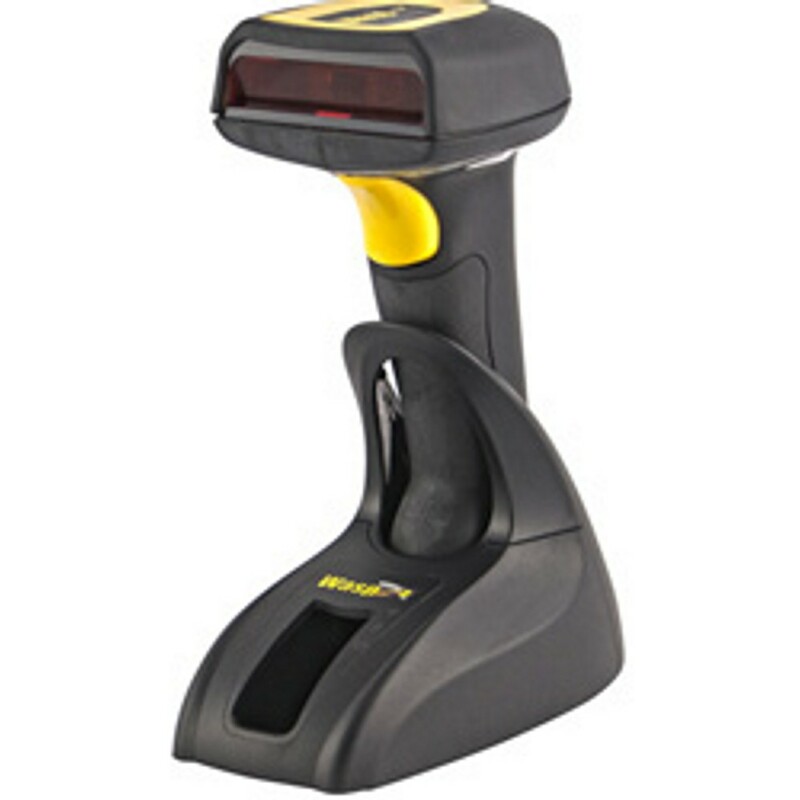 Scan 1D barcodes form up to 12" away with the WWA800's CCD scan engine. With a battery life of 30 hours (20,000 scans) and a drop specification fo almost 5' (1.5 meters), the Freedom is capable of meeting the demands of rigorous work environments. The WWS800 comes complete with a Bluetooth wireless barcode scanner, Bluetooth radio, recharging base, and two batteries. The base performs two functions: it recharges the battery and supports wireless operation of up to seven scanners. Ideal for warehouse, factory floor, field service and retail environments.